This Fiorentini combination sweeper/scrubber dryer can be used indoors and outdoors. For indoor use it can be battery powered or use an LPG engine and for outdoor use you can use a petrol or diesel version. The I115SS can perform each of the sweeping, scrubbing tasks separately giving the user even more flexibility from one machine. 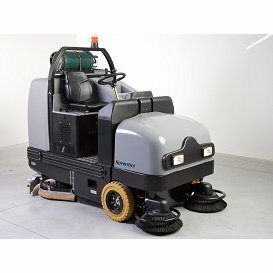 The Fiorentini I115ss combination sweeper/scrubber dryer is made from steel construction and has wrap around bumpers making the machine robust and reliable. It has a large 210 litre capacity solution tank, a scrubbing width of 1150mm and a sweeping width of 1450mm. The large solution and recovery tanks increases the running time; between having to stop the machine to refill or empty. The high brush pressure of 180kg ensures a high cleaning performance. The operator seat has been ergonomically designed and gives good visibility to maximise safety, coupled with the rear wheel power steering giving good traction the operation of this machine is simple. 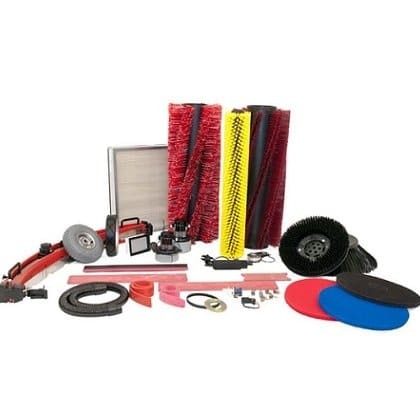 The I115SS is ideal for cleaning large areas such as airports, depots, indoor and outdoor car parks etc and provides excellent value for money.